Not your average Christmas Sweater! 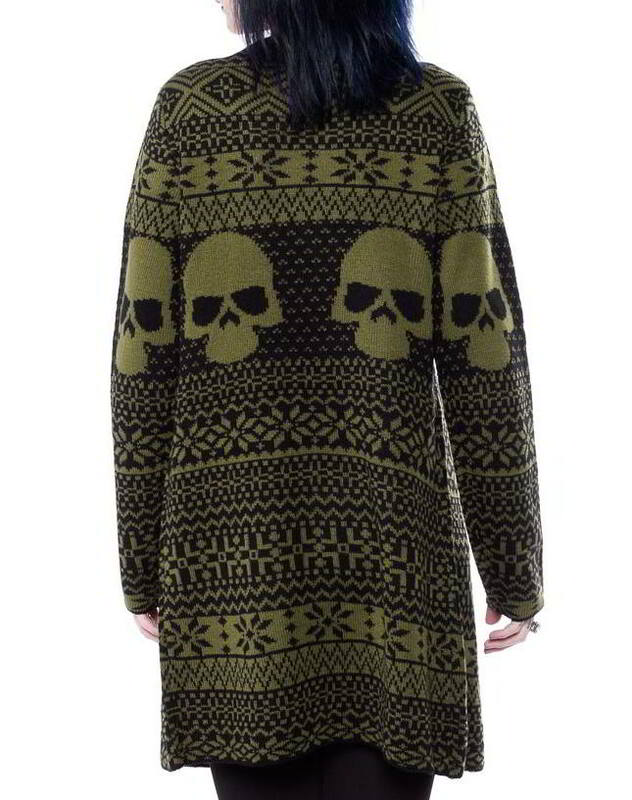 This olive green and black cardigan features an allover skull and snowflake pattern print. It features an over-sized relaxed fit that pairs up great with leggings or skinny jeans. 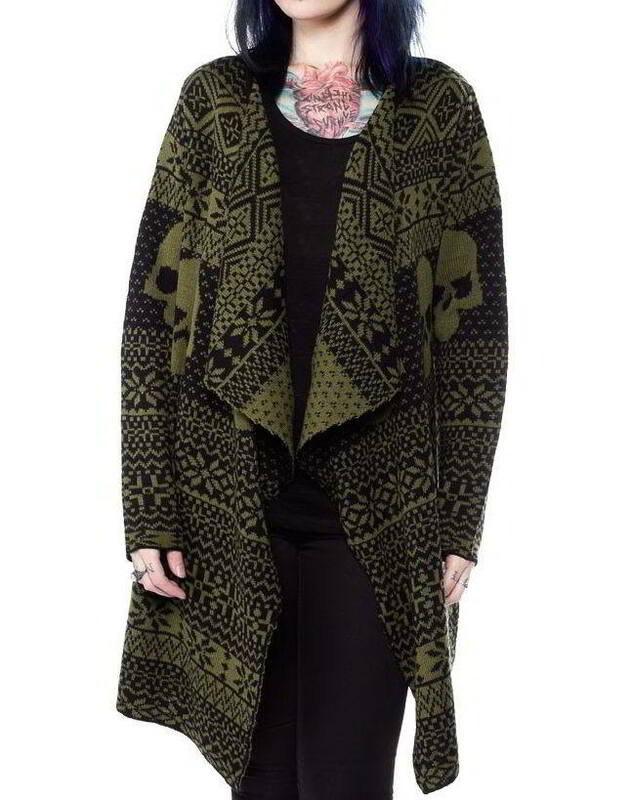 This unique cardigan has a large draped open collar and is super comfortable you will never want to take it off this winter! HIPS 25.5" 27.5" 29.5" 41.5" 43.5" 45.5"
NOTE: This sweater fits big. Please size down for a more snug fit.